Had this board for ages and never bothered with it. A guy recently asked me to check out the PAL dumps for Block Block but due to my board being broken Ive never been able to test so I thought id try and repair mine. There is a suicide battery on these boards that is certainly dead. I removed this and went over to The Dead Battery Society and downloaded the desuicided ROMs. After burning the two 27c020’s and a 27c512 and following the guide steps I got nothing but a black screen. I removed the Kabuki CPU and replaced it with a standard Z80. Now I get the RAM tests and they all pass OK then goes to a blank screen. After a bit of head stratching I relised that the 27c020 is JEDEC compliant yet the 27c301’s that the board expects are not. Time for a bit of modding. I lifted pins 2, 24 and 30 on both 020’s and pins 1 and 22 on the 27c512. 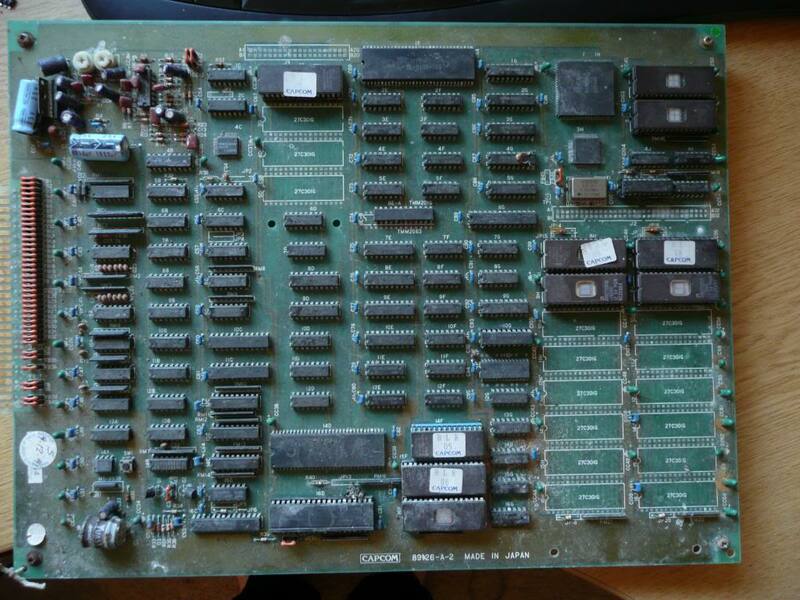 I ran a link from pin 21 of the Z80 pin 24 of both 020’s and pin 22 of the 512. This is the /OE line. I ran a link from pin 60 of the DL-020F-108U custom IC to pin 2 of both 020’s. This is the A16 line. Link pin 30 from both 020’s to pin 1 of the 512 then link them all to pin 27 of the Z80 CPU. This is the A17 line. That should not be complete and the game should boot. I was able to test both the PAL dumps I have made now and they both work. There is no sound on my board and it looks as though most of the sound circuit is rotton so wont be trying to repair that. Its a nice game but I have no interest in it at all.